Sharp-eyed, sharp-tongued and a diplomatic force to be reckoned with, Princess Dorothea Lieven became another one of my favourites when researching Napoleon in America. As the wife of the Russian ambassador to Great Britain from 1812 to 1834, Dorothea had easy access to royalty, ministers, diplomats and politicians. This, combined with her considerable social skills and political acumen, gave her more influence than any other woman of the time. 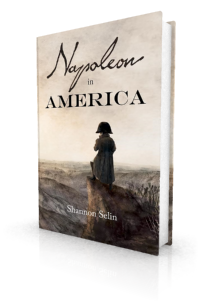 Her letters provide scintillating commentary on the notable persons and events of the post-Napoleonic years. Dorothea Lieven was born Dorothea von Benckendorff on December 17, 1785 in Riga (Latvia), which was then part of Russia. (1) Her father, General Christopher von Benckendorff, was the military governor of Livonia, which encompassed parts of modern-day Estonia and Latvia. Her mother, Anna Juliane Schilling von Cannstatt, was a dear friend of Maria Feodorovna, who became Empress of Russia. When Anna died in 1797, she commended her four children to the care of the Empress, who undertook the charge conscientiously. Dorothea was educated at the Smolny Institute in St. Petersburg, a school for daughters of the nobility. On February 24, 1800, at the age of 14, she wed 25-year old Count Christopher von Lieven, a dull, dutiful Livonian military officer whose family had close ties to the imperial family. Though it was an arranged marriage, Dorothea seems initially to have been in love with her husband. This later settled into esteem rather than passion. They had five children: Magdalena (b. 1804 – died in infancy), Paul (1805), Alexander (1806), Constantine (1807), George (1819) and Arthur (1825, named after the Duke of Wellington). Count Lieven was with Tsar Alexander I during the Battle of Austerlitz against Napoleon in 1805, and at the signing of the Treaty of Tilsit in 1807. In 1808, he was assigned to the Russian foreign office. In 1809, he was sent to represent Russia at the Prussian court. In 1812, as Napoleon prepared to invade Russia, Lieven was appointed ambassador to the Court of St. James’s. An extrovert with a dread of being bored, Dorothea Lieven became a fashionable leader of London society. Her invitations were highly sought. She was the first foreigner to be elected a patroness of Almack’s Assembly Rooms, an exclusive London club, where she is credited with introducing the waltz to England. It was not only women who sought Dorothea’s company. Not considered a great beauty, Dorothea relied on her wit and skill as a conversationalist to fascinate men. She cultivated relationships with those most capable of advancing the interests she wanted to promote. In general, she wanted to maintain friendly relations between Russia and Great Britain, and weaken anyone who might thwart Russia’s cause. She was an autocrat who detested revolution and democracy, although she was a strong advocate for Greek independence, as Russia benefited from the decline of the Ottoman Empire. Dorothea developed close friendships with the Prince Regent (who became King George IV), Lord Castlereagh, the Duke of Wellington, George Canning, Lord Grey, the Earl of Aberdeen, Lord Palmerston and others. Her salon welcomed members of the Government and of the Opposition. Her enthusiasm for her favourites tended to rise and fall in accordance with their influence and position, a fact that was not lost on those she cast aside. 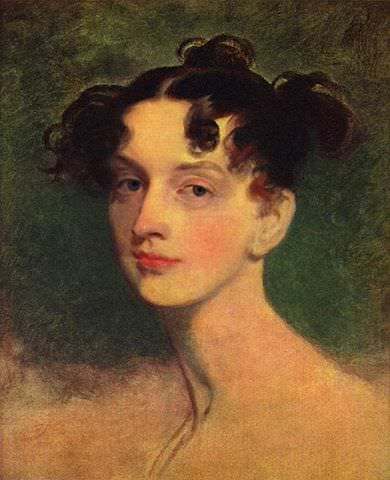 The affair ended in 1826, when Dorothea learned that Metternich was seeing a younger, more attractive woman. As the recipient of the confidences of all these men and their wives and mistresses, Dorothea wielded considerable political and social power. Russian Foreign Minister Count Nesselrode looked to Dorothea to keep him informed of English public opinion and the sentiments of English politicians. British ministers used Dorothea to find out what was happening in other countries, and to communicate things to the Tsar and Metternich that they didn’t want known through other channels. Her friends also turned to her as a source of political information. Wellington told her everything that was going on in the Cabinet, just as she was starting up a correspondence with the leader of the Opposition, Lord Grey. The appointment of Lord Palmerston as Foreign Secretary in 1830 was partly due to Palmerston’s friendship with Dorothea, who lobbied Lord Grey on his behalf. Some called her a gossip-monger and a spy, though she was playing a role that was common in diplomatic circles. In 1826, when Nicholas I ascended the Russian throne, Dorothea’s brother became head of the Russian secret police and her eldest son was appointed to the Russian mission to the United States. Her husband received the title of Prince, thus Dorothea became Princess von Lieven. Back in Russia, Prince Lieven become governor and tutor of the Tsar’s son, who later became Alexander II. Dorothea took up her duties as lady-in-waiting to the Empress. She was miserable at having to leave her life and friends in London. Life got tragically worse in 1835 when her two youngest sons died: George on February 20 and Arthur on March 23. In September Dorothea moved to Paris without her husband. Just as she had in London, Dorothea submerged herself in the beau monde and gave birth to a popular salon. In 1837 she became the mistress of François Guizot, a widowed historian and politician who served as foreign minister of France from 1840 to 1848. As a result, Prince Lieven cut off Dorothea’s allowance. Shortly thereafter Lieven made a tour of Southern Europe with the tsar-to-be, during which he was seized with a sudden illness. He died in Rome on January 10, 1839, leaving Dorothea free to pursue her romance. Though Guizot and Dorothea never lived together and never married, theirs was a genuine and lasting love match. For more about their relationship, see the François Guizot website. Dorothea Lieven died of “inflammation of the chest” on January 27, 1857 in Paris, age 71. In accordance with her wishes, she was buried in a velvet dress, with a diadem on her brow, at the Lieven family estate of Mežotne, south of Riga, next to her sons George and Arthur. December 17 is Dorothea’s birthday according to the Gregorian calendar. As Russia used the Julian calendar until 1918, Dorothea Lieven was born on December 28 in her native land. Lionel G. Robinson, ed., Letters of Dorothea, Princess Lieven, during her Residence in London, 1812-1834 (London, 1902), p. viii. Leveson Gower, ed., Letters of Harriet Countess Granville, 1810-1845 (London, 1894), Vol. I, p. 221. Peter Quennell, ed. The Private Letters of Princess Lieven to Prince Metternich, 1820-1826 (New York, 1938), p. 220.
Letters of Dorothea, Princess Lieven, p. xvi. Karl Robert Nesselrode, Lettres et Papiers du Chancelier Comte de Nesselrode, 1760-1856, Vol. XI (Paris, 1904), p. 149. The Private Letters of Princess Lieven to Prince Metternich, p. 145.
Letters of Dorothea, Princess Lieven, p. xvii. The Times (London, England), May 23, 1834, p. 5. The Times (London, England), January 29, 1857, p. 7. The Times (London, England), February 2, 1857, p. 5. Very interesting post, thank you for sharing! Do you happen to know wether it is true that Dorothea von Lieven tried to win the affection of Prince Felix of Schwarzenberg, but was outrivaled by Lady Jane Ellenborough, and, as a revenge, made Lady Jane Ellenborough’s affair with the Prince known in public? Thanks, David. I appreciate the inclusion in your excellent Facebook group. Princess de Lieven lost two of her sons to scarlet fever. Whatever happened to the other two? She never mentions her sons. Prince Alexander Lieven died recently at his seat at Kockenhof, near Riga. The deceased was the son of Prince Christopher Lieven, the Ambassador of Alexander II. He was born in St. Petersburg in 1806, and received most of his education in England with his brother, Prince Paul, who died in 1864. After passing only six months in the army, the late Prince entered the diplomatic service, which he also quitted early to enjoy his immense fortune in retirement. He lived much in Germany and Italy, and latterly at his magnificent residence of Kockenhof. His numerous acts of beneficence made him much respected and very popular among the country people, and nearly the whole population of the district attended his funeral. The deceased died a bachelor, and with him the second line of the princes of Lieven becomes extinct. According to Modris Eksteins in Walking Since Daybreak (1999, p. 21), Alexander fathered at least one illegitimate child, a daughter, with Countess Manteuffel. There never figured on the Courtly stage a female intriguer more restless, more arrogant, more mischievous, more...odious and insufferable than this supercilious Ambassadress.